French President Emmanuel Macron has declared that the state of emergency, which was imposed post the 2015 Paris terror attacks, would be lifted later this year. 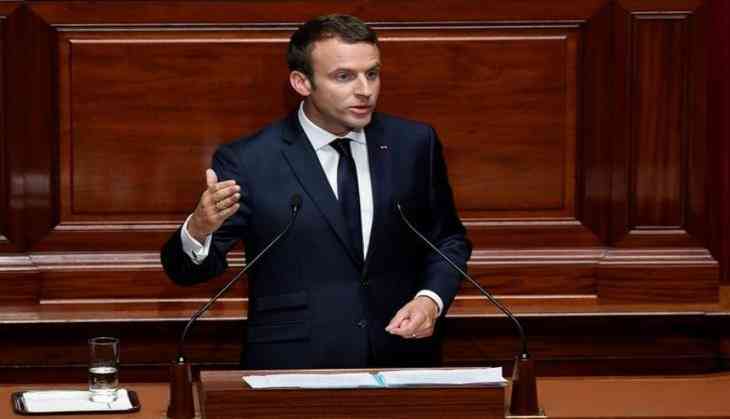 Addressing both the houses of Parliament on Monday, Macron was quoted by Anadolu as saying, "I will restore the liberties of the French people by lifting the state of emergency in autumn. These freedoms are guarantees of a strong democracy." Macron, however, added that a new security law will be put in place to prevent terrorist attacks from taking place in the country. Macron also laid out his vision for the next five years promising a "profound transformation" of France and Europe. He promised to end inequality in France that has left people "imprisoned" by their "social origins" He also promised to reduce the number of members of parliament by one third and hold a referendum on if the Parliament does not approve. He promised citizens more power to use petitions to get key topics discussed in Parliament and add a "dose" of proportional representation to French parliament. Macron said France and Germany would launch "democratic conventions" across Europe by the end of 2017 to discuss the future of the EU. He said the conventions would take the form of national debates on the EU and would be aimed at "refounding Europe." Each member state would be "free to sign on or not, but there is no longer time for quick fixes."